“SPATTER-MASK” is a non-viscous liquid that can be easily sprayed or brushed on surfaces to be welded. Application is very easy and fast, due to the controlled consistency of the product, with less waste compared to conventional pastes or aerosols. Weld burns and blue smuts are greatly reduced by using “SPATTER-MASK.” Weld spatter (“bee-bees”) are easy and simple to wipe off. Application and use of this product is very safe, as it is non-flammable, non-corrosive, and does not liberate obnoxious fumes. “SPATTER-MASK” outperforms competitive anti-spatter products by better protection against spatter adhesion, no odor, and easier to wipe off. 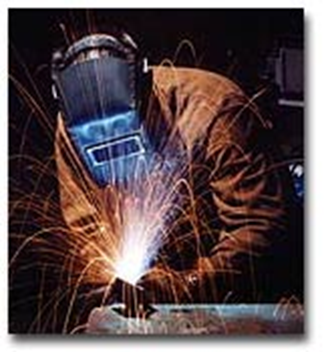 Apply “SPATTER-MASK” as is, without dilution, via spray or cloth to surfaces to be welded. Welding can resume immediately after application.